At some point or another, most of us experience the ‘Winter Blues’. It is always at its peak during January, where some are participating in ‘Dry January’ and almost everyone is praying for payday to arrive, after what feels like the longest wait between Christmas and now. Saxophonist, producer and singer, Laura Misch is doing her best to keep our spirits up during this fateful time. Whilst playing the saxophone has always been Laura’s main outlet in music, the last couple of years have seen her experimenting with producing music, as well. “The thing that excites me about producing is it gives you the same kind of power I used to find in playing The Sims as a kid […] my voice can be at the front sounding human or it can be manipulated, distorted and granulated to become any element, texture or atmosphere.” Feeling immersed in the soundscapes that can come out of using pedals and looping sounds, Laura draws inspiration from the scenarios around her, and her latest single ‘Hibernate’ is about the dreariness of London in Winter, so in collaboration with the homelessness charity, Crisis, all proceeds for the song will go to them. ‘Hibernate’ is a body of work that, in Laura’s own words, is “the most glacial synth-saturated sound world”. It is an incredibly simplistic instrumental with a stripped back drum beat and Laura’s jazzy voice warms up the song with a hook that dips in and out of consciousness. 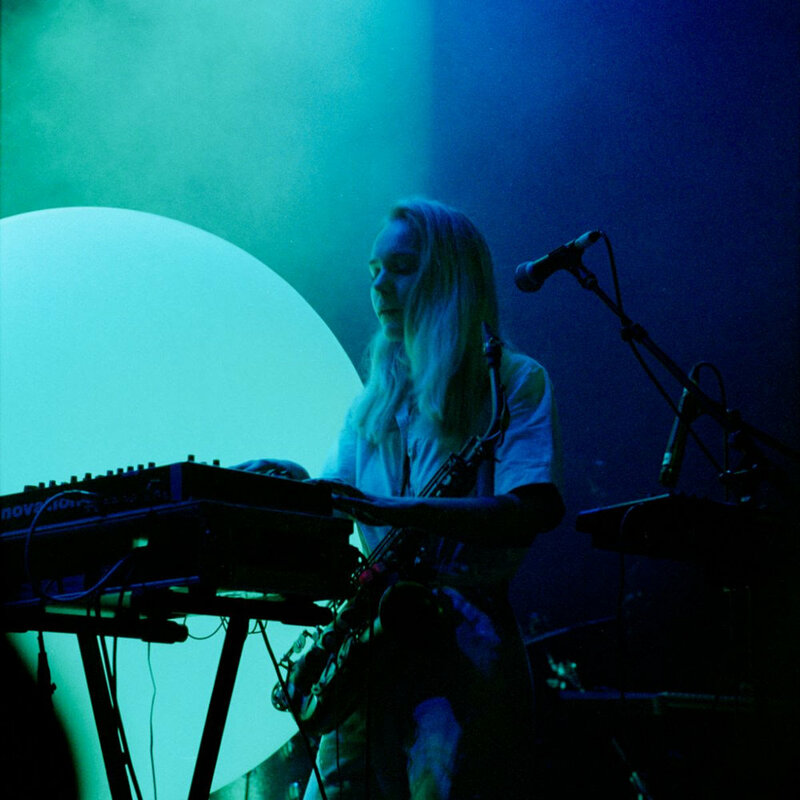 As the song develops, the icy and piercing synth tones turn into industrial bass notes with Laura’s voice harmonising in the background like wind weaving its way through a barren forest; reverberating off the skeletons of trees. There is a kind of magic about being able to capture a feeling, and a mood, within a song and Laura has really hit the nail on the head with ‘Hibernate’. Head to Laura Misch’s Bandcamp page, where you can buy the song ‘Hibernate’ and help Crisis support homeless people around the nation.